Hyde Park, NY – Some of the biggest names in culinary science—José Andrés, Ferran Adrià, Nathan Myhrvold, and Harold McGee—are joined by Ted Russin of The Culinary Institute of America (CIA) in teaching the Harvard University massive open online course (MOOC) Science & Cooking: From Haute Cuisine to Soft Matter Science. More than 80,000 people around the world are taking the free class this fall. Russin developed and taped several video clips with Chef Wylie Dufresne to be used in the course curriculum. The videos show both basic and advanced applications of enzymes in the kitchen while highlighting the collaboration between chef and scientist in cooking. Students registered in Harvard's MOOC initiative, called edX, watch the videos before taking quizzes and completing assignments about the subject material. They work at their own pace and earn a certificate from Harvard by successfully mastering the course work. This semester marks the first time Harvard's Science & Cooking has been presented as a MOOC. The popular undergraduate version of the course, introduced on campus in 2010, went online after experiencing overflow enrollment. It has been featured in the national media, including NPR, and Russin has been a guest lecturer for the undergraduate lecture series the past two years. "Collaborating with Harvard on these courses broadens the relationship between our two prestigious institutions and helps raise the profile of The Culinary Institute of America's own cutting-edge culinary science program," says Russin, director of consulting at the CIA. 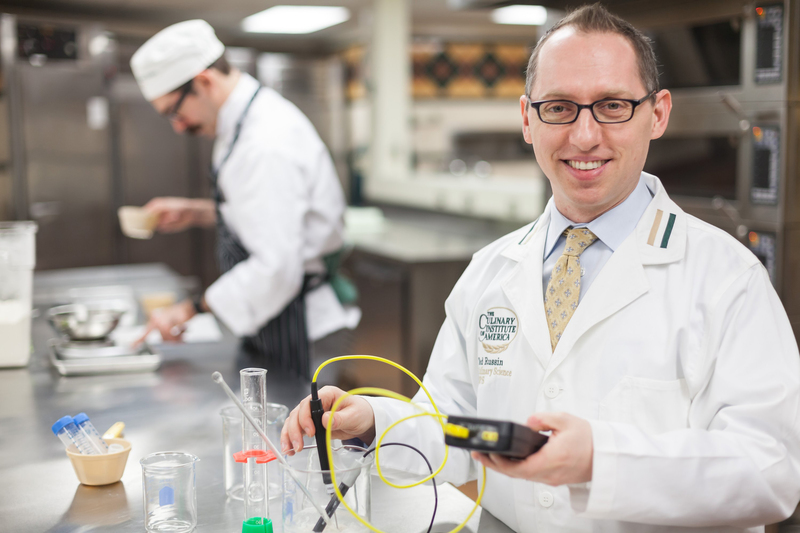 The CIA launched the culinary science bachelor's degree major earlier in 2013. There are currently 39 students in the growing program that prepares graduates for lucrative careers in culinary research and development, innovative restaurants, and large-scale foodservice operations.